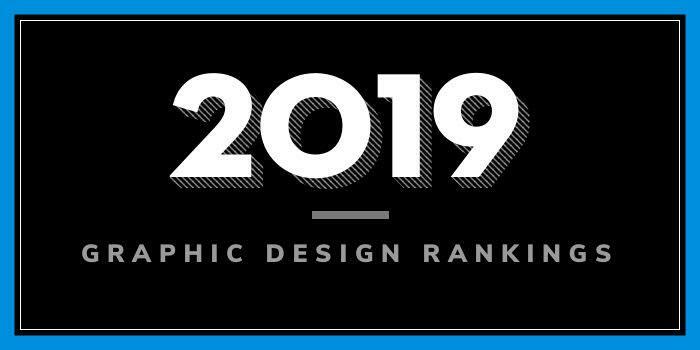 Below are the Top 25 Graphic Design Schools and Colleges with MFA Programs for 2019. Other program highlights include individual workspaces in a large design studio located in RISD’s Center for Integrative Technologies (CIT), interaction with grad students in Digital + Media, Teaching + Learning in Art + Design, Interior Architecture and Textiles, and access to the Fletcher Building, which offers graduate studio space for MFA candidates in five fine arts programs. All MFA candidates will submit a written thesis and as a group participate in the RISD Graduate Thesis Exhibition, a large-scale public show held in the Rhode Island Convention Center. The MFA in Graphic Design (GD MFA) is a 60 credit hour program that features two years of full-time study, which combines “critical seminars, guided studio courses, and independent work.” Per the school, students in the MFA program may choose a concentration in Critical Studies or Curatorial Practices or “take advantage of electives in many MICA departments, including video, printmaking, and digital media.” Graduates are prepared to advance their current careers, apply for advanced positions in the field, or work in the academic sector. Graduate programs for aspiring graphic designers include an MFA in Graphic Design (MGx) with two-year and three-year options. The two-year program consists of four full terms plus a Summer term reserved for a studio independent study plus a recommended internship. The three-year program is designed for incoming students who may need additional design skills to complete the graduate degree. The undergraduate courses will be tailored to meet the individual needs of the student. After these two undergraduate terms, the student enters the traditional MGx course track. Course highlights for the program include Graduate Studio, Graduate Typography, Mediatecture, Project Writing, Screen-Based Elective, 2D Form Elective, Professional Leadership, Cross-Media Strategies, Design Research/Strategy, and Entrepreneurship. All students will complete several seminars and a Graduate Thesis. Students must complete 72 units to graduate. Like two-year MFA students, three-year MFA graphic designers are required to pass a Thesis Review to complete the program and obtain the MFA degree. Founded in 1907, California College of the Arts (CCA) is home to more than 1,900 students from 52 countries and 45 states. The school offers 22 undergraduate and 12 graduate degree programs, plus two minors. Graduate options include an MFA in Design that focuses on Graphic Design, Industrial Design, and Interaction Design. The program has both two-year and three-year options. The two-year option is designed for students who already have experience in one or multiple design fields. The three-year program is for students that have an undergraduate degree in an unrelated field. Both degree options provide students with the opportunity to explore different concentration areas in one of several fields of design. Students will have the opportunity to immerse in the areas of Brand Identity, Print, Motion Graphics, and Screen-Based and Interactive Design, along with elective offerings that will “strengthen” students “design toolkit.” Students will also gain real-world experience through CCA’s extensive internship program. Graduates of the CCA MFA Program have landed positions at innovative design firms, museums, publishing houses, technology companies, nonprofits, and more. The School of the Art Institute of Chicago (SAIC) was founded in 1866 as the Chicago Academy of Design. It is one of the oldest accredited independent schools of art and design in the country. Home to 3,650 students enrolled in more than 25 programs, SAIC offers an MFA in Graphic Design with two options: the two-year 60 credit hour program and the Post-Baccalaureate Certificate in Studio. The Certificate is a 30 credit hour program that can serve as a track into the MFA program. This creates a three-year experience for students who have little design experience. Per the school, program highlights include “critique seminars designed to encourage experimentation with new methodologies to further develop individual work and exploration,” the opportunity to work with individual advisors, generate individualized content, and experiment with other related disciplines, and an active AIGA (American Institute of Graphic Arts) student chapter. Students will also engage in Exploratory Languages—a lecture series featuring leading designers and design educators from across the country) and CIPB (Chicago International Poster Biennial)—an international competition representing leading designers from around the world. All students will complete a Graduate Thesis, and internship opportunities and the option to study abroad are also part of the program. Founded in 1978, Savannah College of Art and Design (SCAD) is home to more than 14,000 students from all 50 states and more than 100 countries. The school offers more than 40 majors and 75 minors, as well as certificate and online programs. With campuses in Atlanta, Hong Kong, and Lacoste, France, SCAD has plenty of opportunities to study at domestic and international locations. The school offers an MFA in Graphic Design and Visual Experience. Course highlights for this 90 credit hour program include Design Research, Analysis and Discourse, Ideation Models and Process, Methods of Contextual Research, Typographic Voice and Visual Narrative, Visual Analysis of Static Content, Curated Narrative for Dynamic Content, Experience Design for Physical Spaces, User-centered Strategy and Process, and Visual Design for Interactive Contexts. Students will also complete a number of 500-700 level electives as well as Graphic Design and Visual Experience MFA Thesis I: Research and Discovery, MFA Thesis II: Synthesis and Insight and MFA Thesis III: Validation and Execution. Offered in Atlanta, Hong Kong, Savannah, and online, the MFA program also has a required Graduate Internship component. The internship offers the opportunity to gain real world, hands-on experience. Virginia Commonwealth University (VCU) was established in 1838. It is home to more than 31,000 students enrolled in more than 200 programs through 15 colleges and schools. The School of the Arts, which serves more than 3,000 students, offers 25 degree programs. An additional four programs are offered at VCU’s Qatar campus. The School of the Arts (VCUArts), Department of Graphic Design offers an MFA with a Concentration in Design/Visual Communications. Per the Department, students in the MFA program “concentrate on the philosophical, communicative, and aesthetic relationships of visual problem solving and the interacting skills leading to the effective articulation of concepts.” The program is designed for students interested in conducting visual or theoretical research, and in investigating the intersection of function and expression in design problem solving. Upon completion of the program, graduates will be able to present fluent verbal and written explanations of research and studio activities, and demonstrate a knowledge of historical, social, and cultural perspectives in relation to visual communications and clarify how they influence work. Graduates will have also developed a personal vocabulary, approach and vision in creative work, and the ability to create expressive forms and use them to communicate appropriately. The University of Texas at Austin (UT Austin) was founded in 1881. The school opened its doors in 1883 with one building, eight professors, one proctor, and 221 students. Today, UT Austin is home to nearly 52,000 students enrolled in over 500 degree programs and fields of study across 18 colleges and schools. The College of Fine Arts, School of Design and Creative Technologies offers an MFA in Design. The program, which became part of the new School of Design and Creative Technologies in August 2017, will begin re-admitting students in the Fall of 2019. Students in the program will have the opportunity to complete an internship, which may include working at major companies with offices in the Austin area. Just a few include Google, Dell, IBM, Apple, Samsung, Frog, Pentagram, and EA Games. Founded in 1829, Rochester Institute of Technology (RIT) serves more than 19,000 across nine colleges emphasizing career education and experiential learning. The school, which has global locations in China, Croatia, Dubai, and Kosovo, offers an MFA in Visual Communication Design. The 60 credit hour program composed of courses in Communication Design, Interactive Design, and Motion and 3D Digital Design. In addition, students are required to take Design History Seminar, Design Theory and Methods Seminar, and Professional Practices. Per the school, “seminars explore cross-disciplinary principles, theories and methods that can be used by designers. Kent State University (KSU or Kent State) was founded in 1910 and it is home to more than 38,000 students (in an 8-campus system) enrolled in more than 300 degree programs across dozens of colleges and schools. The College of Communication and Information, School of Visual Communication Design, offers an MFA in Visual Communication Design. The College for Creative Studies (CCS) was established in 1906 as The Detroit Society of Arts and Crafts. The school serves 1,425 students enrolled in over a dozen degree programs across 14 academic departments. With an enrollment of more than 100 students, the Graphic Design Department is the fifth largest department at CCS. Graduate degree options for aspiring graphic designers include MFA degrees in Interaction Design and Integrated Design. Course highlights for the MFA in Interaction Design include Interface Design, IXD Research: Users & Behaviors, Studio: Prototyping & Internet of Things, IXD Research: Contextual Design Research, Frameworks for Interaction & Conversations, and Studio: Interaction Design Evolution. Students will also take several Business Practices courses as well as Graduate Thesis courses worth six credits each. Course highlights for the MFA in Integrated Design include Data Visualization, Co-Creation and Participatory Design, Design Graduate Studio: Service Design, Contextual Design Research, and Business Practices. Students will also complete several Graduate Seminar courses and studio electives. Students in both programs have the opportunity to study abroad for a semester or a year in places such as Italy, Austria, Germany, Mexico, Paris, Australia, and more. Graduates of the Design programs at CCS are prepared to work in Graphic Design, Editorial Design, Environmental Design, Information Design, Interactive Design, Package Design, Publication Design, Web Design, and many others. Established in 1867 as Illinois Industrial University, University of Illinois at Urbana – Champaign is one of the original 37 public land-grant institutions created after President Abraham Lincoln signed the Morrill Act. The school serves nearly 48,000 students through 15 colleges and instructional units. The College of Fine and Applied Arts, School of Art and Design offers a 64 credit hour MFA in Art and Design with a Concentration in Graphic Design. Per the school, students in the Graphic Design Program “engage with complex problems and are asked to identify opportunities where design can intervene.” Studio work for the program “addresses graphic design fundamentals (typography and image making), design history and contemporary practices, research methods, user experience, and social responsibility.” Students also have the opportunity to refine their degree by choosing from an interdisciplinary selection of elective courses including advanced interaction design, photography, traditional printmaking, sustainability, and video, and the design of Ninth Letter, a nationally-distributed and award-winning literary arts journal. Otis College of Art and Design (OTIS) was established in 1918 by General Harrison Gray Otis-- founder and publisher of the Los Angeles Times. Home to 1,100 BFA and MFA students, OTIS offers more than a dozen interdisciplinary art and design programs from Animation and Motion Design to Illustration and Graphic Design. Specific programs for aspiring graphic designers are offered through the Communication Arts Department. Graduate options include an accelerated MFA in Graphic Design. Minneapolis College of Art and Design (MCAD) was established in 1886. The school serves 800 students enrolled in Design (50% of the student body), Media Arts (38%), 10% in Fine Arts, and the remaining 2% in MCAD’s new Arts Entrepreneurship Department. More than 20 programs are available across several departments, including an MFA in Visual Studies. The 60 credit hour MFA program allows students to pursue creative work in Graphic Design, Illustration, Interactive Media, Paper and Book Arts, Printmaking, and many others. Other program highlights include one-on-one work with a faculty mentor, liberal arts seminars, educational opportunities such as an internship or study abroad, and direct access to the MFA Studios and Gallery, which includes fifty individual studios, smart classrooms, and facilities for creative making, a large gallery space, and more. Sample courses for the program include Interrogating the Modern, Entering the Contemporary Field, and Researching the Thesis: Methods for Drafting and Revision. Students will also take several Graduate Critique Seminars. The final year of the program culminates in a capstone thesis exhibition and paper. The Ohio State University (OSU) was established in 1870. The school serves 68,100 students enrolled in more than 200 majors, specializations, and minors across 12+ colleges and schools. The College of Arts and Sciences is home to the Department of Art and the Department of Design. The Department of Art offers an MFA in Visual Arts with two possible emphasis areas for aspiring graphic designers: Art and Technology or Printmaking. The 72 credit hour, three-year program allows students to work across disciplines and with faculty from all seven studio areas offered in the MFA program. Program highlights include 24/7 access to private and semi-private studio spaces, annual Visiting Artists, Critics and Curators who engage in critical discourse and discussion with graduate students, art department facilities including both material and digital fabrication studios, and access to Wexner Center for the Arts, a world-renowned contemporary art center located on campus. Students also have access to The Fine Arts and Cartoon Libraries, and the Urban Arts Space, an off-campus, OSU-run gallery in downtown Columbus. The Urban Arts Space is the location of the third-year MFA thesis exhibitions. The Department of Design offers an MFA in Digital Animation and Interactive Media. Designed for students intending to work as designers in the digital animation and interactive industries and in colleges and universities teaching animation and interaction related courses, the program requires 60 credit of hours to graduate. Students in the program will take electives in the areas of Theory/History/Criticism (nine credits), Interdisciplinary/Collaborative Studio (six credits), and Studio/Lab (12 credits). Electives allow students to choose courses in areas such as visual design, technical skills for animation and interactive media, programming and algorithms, audio design, writing and scripting, and professional development. The Writing Seminar, Thesis Development & Thesis Project consists of 15 credit hours of study. Courses for this final component of the program are taken independently with members of the student's thesis committee. Founded in 1858, Iowa State University serves nearly 35,000 students enrolled in hundreds of undergraduate majors, minors, certificates and graduate programs through eight colleges, two schools, and around 150 academic departments. The schools College of Design offers an MFA program that highlights Graphic Design Field Study opportunities including study and tours of museums, galleries, artist and/or designer studios, and other areas of interest within art and design. All students may also participate in the International Study Abroad Program in Western Europe. Students will visit design studios, art museums, and educational facilities. Founded in 1870 as the Colorado Agricultural College, Colorado State University serves nearly 33,500 students enrolled in more than 250 programs, over 50 minors, and several advising tracks through eight colleges and a graduate school. The College of Liberal Arts houses the Department of Art and Art History, which offers an MFA in Graphic Design that emphasizes conceptual problem-solving and technical proficiency. Sample courses for the 60 credit hour program include Studio Problems: Graphic Design, Advanced Illustration, Typography and Design Systems, Independent Study: Graphic Design, Aesthetics-Visual Arts, Group Study: Multiple Media, and Advanced Study in Art History: Graphic Design. Students will also complete a Graduate Thesis. Program highlights include a semi-private studio for the duration of the program, regular discussions with faculty in the areas of graphic design theory, history, and professional practices, and participation in the biennial Colorado International Invitational Poster Exhibition, where students assist in organizing and presenting the event. Louisiana State University (LSU) was founded in 1853 under the name Louisiana State Seminary of Learning and Military Academy. The school serves around 29,300 students enrolled in more than 235 programs through more than a dozen colleges and schools. The College of Art and Design houses the School of Art which offers an MFA in Graphic Design. California State University Long Beach (CSULB) was founded as a state college in 1949. The school serves more than 36,800 students enrolled in over 100 academic programs through eight colleges. The College of the Arts houses the School of Art which offers an MFA in Art with a Graphic Design Track. The MFA consists of 60 units and “provides an environment for students to make deep explorations into the field, pushing boundaries and questioning the status quo.” Students in this program will take 25 units in ART 500+ to 600+ level courses, and 15 units of additional coursework in the track. The program also offers the opportunity to complete several workshops, studio courses, and a professional portfolio, as well as internship and study abroad experiences. East Carolina University (ECU) was founded in 1907 as a teacher training school. Today, the school serves more than 29,000, making it the third largest university in North Carolina. East Carolina University offers more than 200 undergraduate, graduate and minor programs through 12 colleges and schools. The College of Fine Arts & Communication houses the School of Art and Design (SoAD), which offers an MFA in Art with a Concentration in Graphic Design.